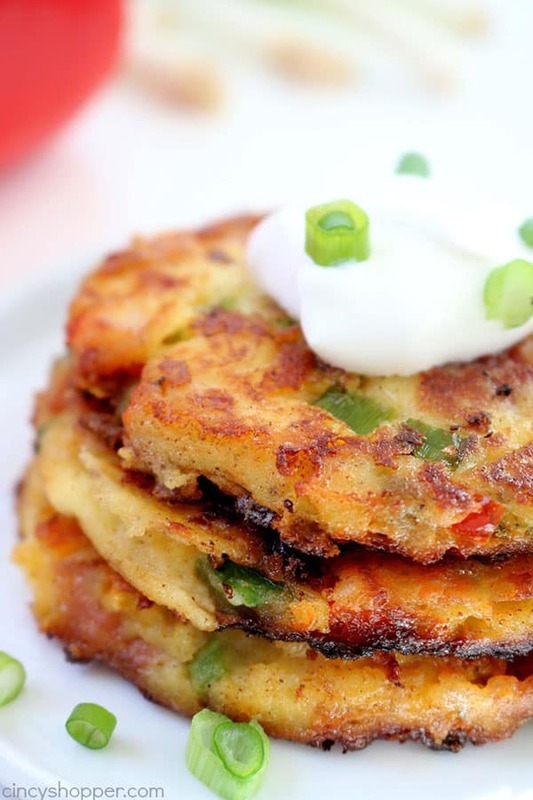 If you have leftover mashed potatoes, you will want to make these Loaded Mashed Potato Cakes. 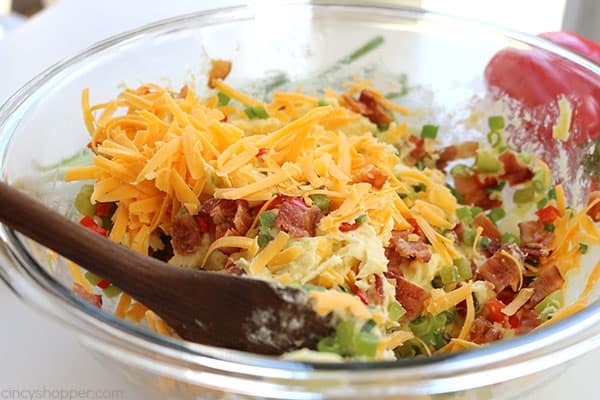 Creamy mashed potatoes are loaded up with bacon, cheese, peppers, onions, and then fried up for some added crispiness. With Easter just around the corner, I know many of you will have mashed potatoes on your dinner table. If you need a great mashed recipe, be sure to see The Best Mashed Potato Recipe that I have shared with you here on my blog. My grandmother always cooked for a large family. She would always over estimate when making mashed potatoes. 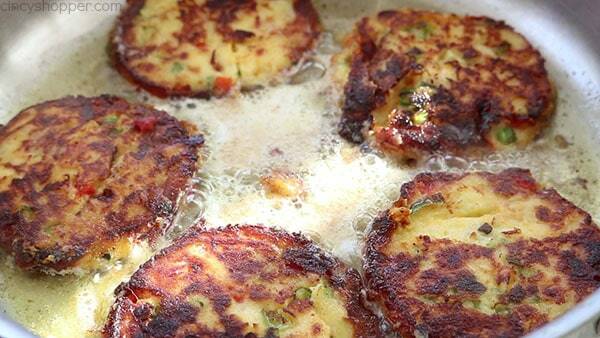 So, she would always fry up mashed potato cakes with her leftovers. As a kid, I refused to even try them. As an adult…. I tried them and LOVED them. 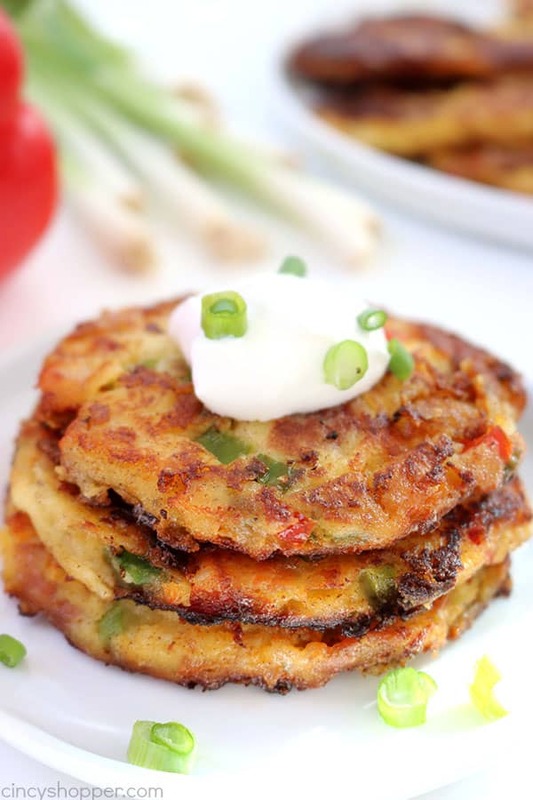 Mashed Potato Cakes can be made with so many different toppings. You could do a ham and cheese, just veggies. You could do with or without cheese. 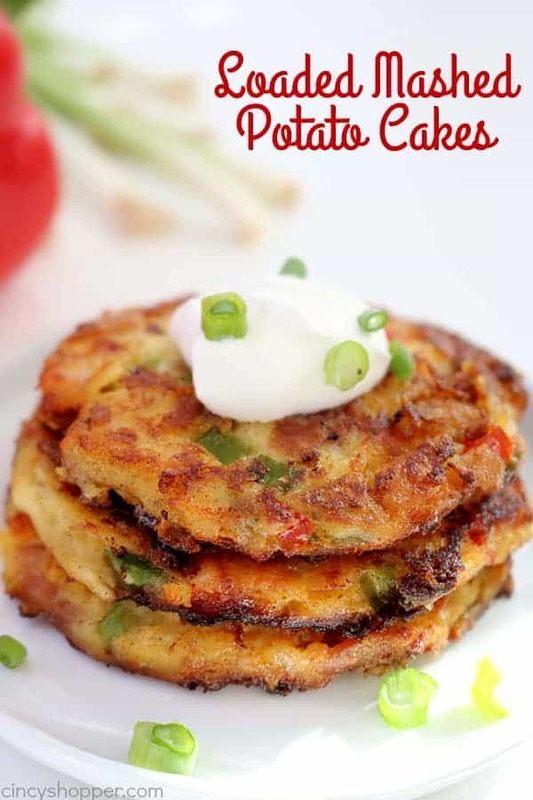 The possibilities are endless.I personally like to make a big double batch of mashed potatoes just to make these Loaded Mashed Potato Cakes. I make a couple batches, leave them uncooked, and then toss them in the freezer so I have them on hand for a quick breakfast or dinner side dish. The ingredients for these cakes are so simple. 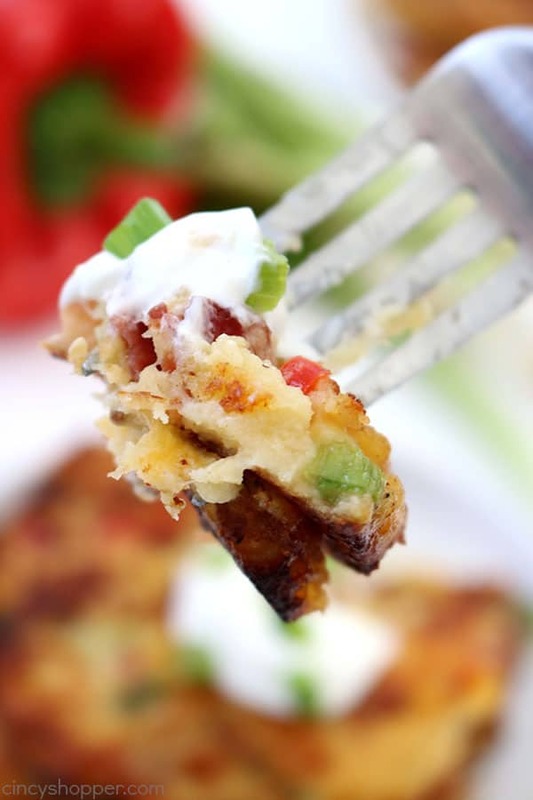 Grab your favorite mashed potatoes and some mixins and you have a great leftover mashed potato recipe. I sometimes use pre-cooked bacon or precooked ham to speed up the process with prep. 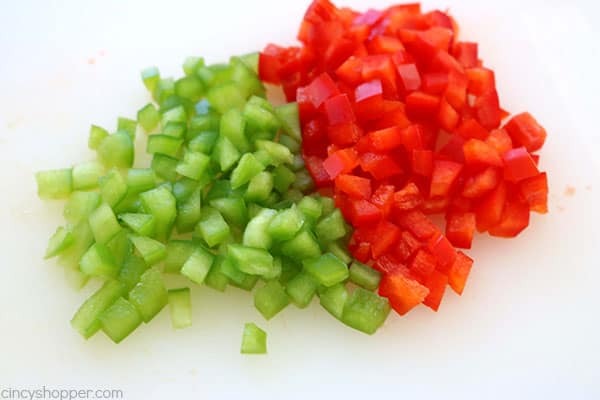 Dice green and red bell peppers and microwave for 1 minute to soften. Set aside. In a large bowl, combine potatoes, garlic, salt, pepper, flour and eggs. 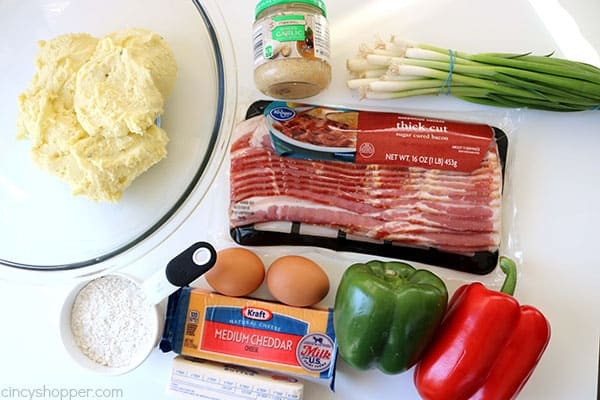 Fold in peppers, bacon, onions and cheese. At this point, you can either use a spoon to portion out the cakes or follow the next steps to make pretty uniform ones. Spread mixture over parchment paper. Cover with another sheet of parchment paper and roll to consistent thickness. Using a circle cutter (about 3″), cut into cakes. 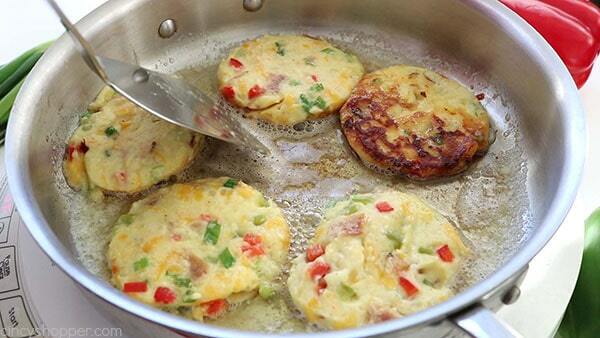 Cook cakes until browned on each side (about 5 minutes each side). 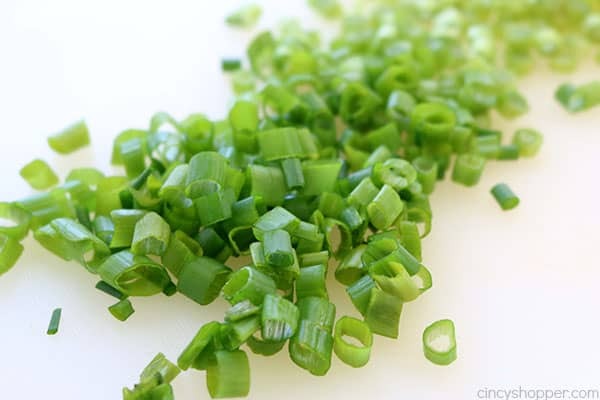 You can optionally garnish with sour cream and dice green onions. 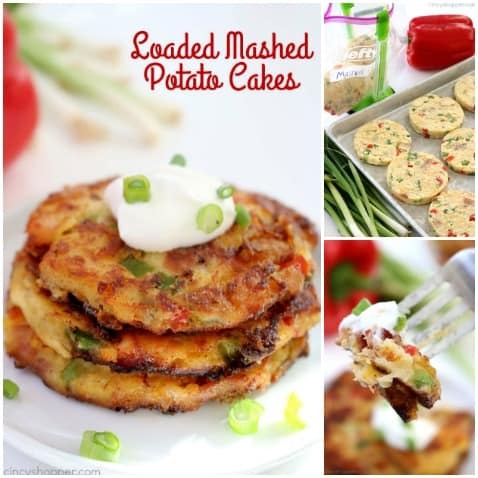 Do you have a favorite Mashed Potato Cake that you like to make? Using a circle cutter (about 3"), cut into cakes. Looks delicious! 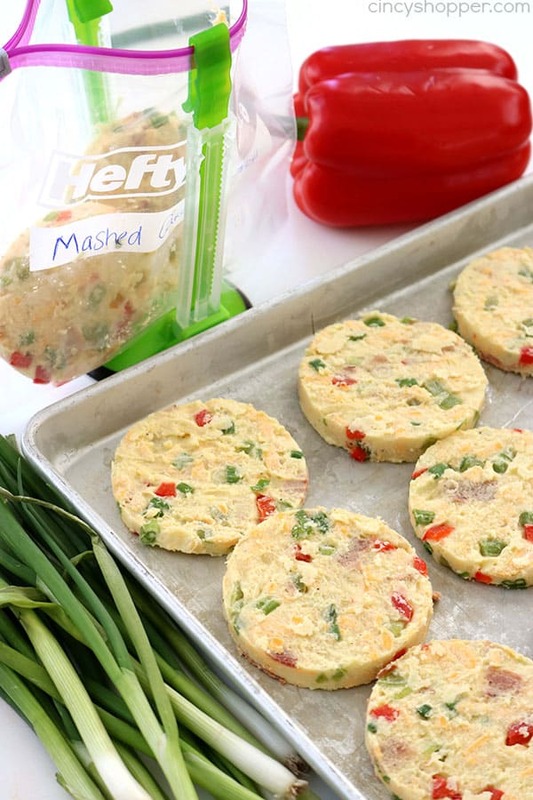 Great use of leftover mashed potatoes, and such a great idea for Easter or whenever! This looks yummy! 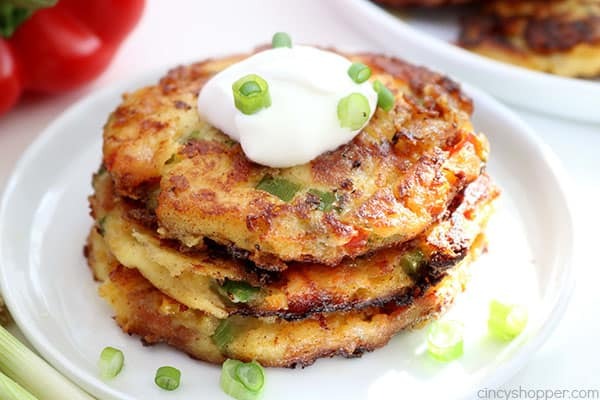 Wondering if you’ve tried it with creamy mashed cauliflower? Do you think that could work?